In my early RC flying career I flew larger 450+ sized multirotors, where power, space and lift were virtually limitless. But with these newer, smaller racing mini quad every gram shaved pays off in flight performance. Not to mention I could be flying with multiple pilots at the same time, so the quality and performance of your video transmitter can affect yourself as well as others. VTX stands for video transmitter, it’s an essential part of a FPV system. 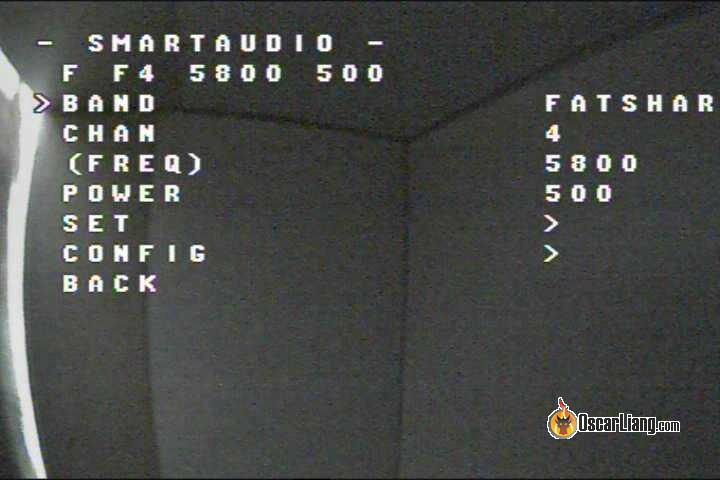 It’s a device that sends the video from FPV camera to a video receiver, which can then display it on a monitor or FPV Goggles. The 5.8Ghz system we use for FPV are some old analogue technology, so don’t expect any HD level video. The HD video you see on Youtube, are captured with an HD action camera. 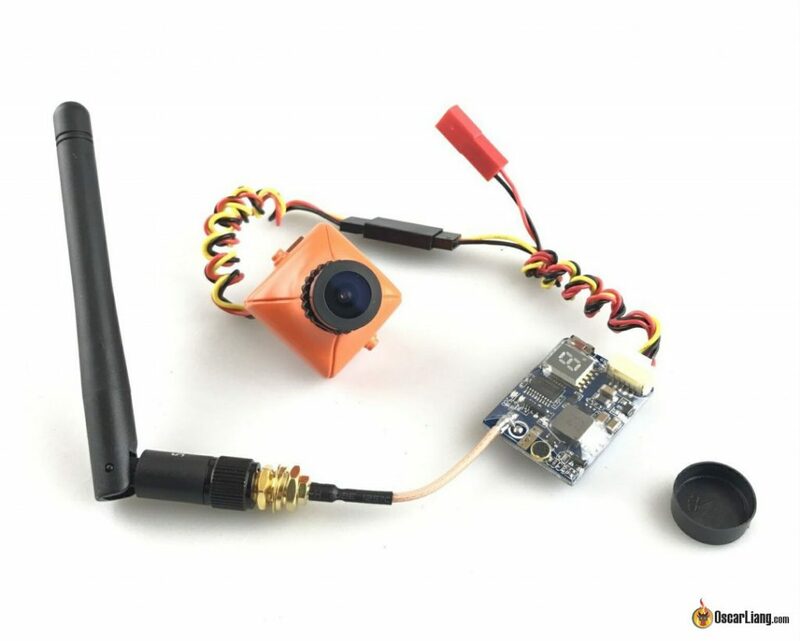 There is digital solution for FPV now for mini quad FPV flying that offers much clearer image, such as the Connex Prosight. However since the technology is still new, they are quite expensive and bulky. They are not quite as good as the footage from a HD action camera, but still they are much better than analog. In this guide we will focus on the good old 5.8Ghz analog VTX, if you are interested in the Prosight make sure to check out our review. video transmitters are cheap electronics and not perfect. They might not transmit at the correct frequency on all the channels, e.g. if a VTX was meant to transmit at 5800MHz, it could actually be 5802MHz. In the same VTX, some of the channels might transmit right on the correct frequency but some might be slightly off by a few MHz. This could also be a quality control issue and the result might vary between VTX’s even in the same batch. This makes it hard to conclude how good a VTX is by testing just one or two samples. Therefore, it’s beneficial to pay a higher price for a good quality VTX. Same for the receivers, they should be right on the intended frequency on each channel. As well as antennas, they should be tuned or designed for the particular frequency range you want to use. Additionally by using a diversity receiver (dual antennas) is going to help reduce the chance of losing signal, using higher gain antennas can also give you longer range. Analogue video quality is not attractive at all comparing to HD. Even in the best condition, the image is blurry, low in resolution and noisy compared to your GoPro footage. The reason we are still using it today is because of the compact size, extremely low latency, low price and availability. With mini quad getting more popular, VTX are made smaller and lighter. Size and weight are pretty much similar these days between modern VTX’s, so we won’t discuss it in detail here. When choosing NTSC/PAL quality 5.8 GHz VTX for mini quad, there are also some other factors to consider apart from weight and size. VTX output power determines how much power is radiated from the transmitter. Generally speaking the more power means more range. Mini Quad VTX can have different power levels, for example 25mW, 200mW and 600mW are the common ones. Some more advanced VTX’s are switchable between different power levels. Apart from the output power of your VTX, the antennas on your transmitter and receiver also have a huge impact to your range and signal quality. It’s natural for beginners to think “I should use high power VTX because it gives me further range”, but that’s not the whole story. High power VTX like 600mW is a good choice if you often fly outdoor alone, behind obstacles such as trees. You might get a more reliable signal and range than using smaller power VTX. However, there is a diminished returned in range with increased VTX power, because the signal goes all directions around the antenna therefore it takes 4 times the power to double the range. Furthermore, some of the energy simply turns into heat and gets wasted. That’s why you often see high power VTX’s get hotter than lower power ones and thus come with massive heatsink. High power isn’t always a good thing when you fly in certain environment where there are lots of signal reflection such as a garage or stadium. Signals can bounce off the floor, ceiling and walls and introduce interference to your video, an issue that is commonly referred to as “multipath”. A higher power VTX is known to perform worse when multipath is a problem. A lower power VTX such as 25mW typically performs better in these situations. When flying with a group of people, try to avoid high power VTX. For example 600mW are simply too powerful and might bleed into (interfere) other pilots’ signals making it difficult to fly together. That’s why a lot of races would require pilots to run 25mW VTX. Finally, there is legal consideration what the maximum output power is allowed in every country. As for as I know 25mW is the limit in most countries without a license. But please check your local regulation before transmitting. So What Power Level should I choose? It depends on the situation really, so a power-switchable VTX would be preferred. 25mW is great for indoor flying and races with many pilots, 600mW for long range solo flying, and 200mW is a conservative option that provides the best of both worlds. 200mW and 600mW sound like a big difference, but in reality they are not when it comes to range. To get double the range, your VTX power needs to be quadrupled (4x) in theory. So a 600mW doesn’t even give you double the range compared to a 200mW. Beware that VTX power isn’t everything, I’ve found I could get decent and reliable reception by using a proper diversity receiver setup and directional receiver antenna. It’s not unheard of to achieve 1Km range with just a 25mW VTX, so 5.8Ghz 200mW VTX should handle 2Km-3Km range easily with a correct setup. Especially with mini quads, we don’t tend to fly long range with them. If you really need longer range, the 5.8Ghz spectrum isn’t where you’re going to find it anyway, you should be looking at lower frequency. People tend to use 600mw or even 1W VTX for long range flying. It’s very important to make sure your transmitter does not overheat. When a VTX overheats, it tends to reduce the power which means you might lose video signal when you are far away. There are several ways to keep your VTX cool. The most important thing is to ensure good airflow. This is usually not an issue on a mini quad. But on a wing or plane, you want to make sure there are air intakes on the lid to get good air flow during flight. To further improve cooling, consider heatsinks. 5.8GHz = 5800MHz. But the frequencies we use on this band actually stretch from 5325MHz to 5945MHz. 5.8GHz is preferred because it’s legal in many countries, and the antennas can be made very small. The channels available in a VTX are the preset frequencies you can use to broadcast your video back to the video receiver. In the 5.8Ghz band for FPV, there are now over 10 bands and 80 channels available (in Mar 2018). Your video receiver must be compatible with some of these channels in order to work. If you only fly alone, then you don’t need too many channels, you can only use 1 channel at a time :) But as soon as you start flying with other people, it becomes important to have more channels available for easier frequency management. How easy is it to change channel? By far push buttons are most common and simple method when you need to change channels or VTX settings in the field. Even if you’re not flying with friends, you may need to adjust frequencies or power to reduce interference. One drawback of push button is that you can only do it while the VTX is turned on, and you need to go through every each channel in a band one at a time. During that process you might stumble on someone’s channel who might be flying, and the interference might be enough to blind them and make them crash. Some newer video transmitters allow changing channel/settings with an external remote, such ImmersionRC Tramp HV and their wand controller. The latest “VTX Control” technology allows pilots to change video transmitter settings via Betaflight OSD, or OpenTX LUA script, we will talk more about this feature later in this article. Majority of the VTX antenna connectors exist in SMA or RP-SMA, your VTX and antenna have to have the same type of connector in order to work. If you are new and not sure which one to choose, just go for SMA and stick to it as it’s a more popular choice, for no obvious reason. Both connectors provide the same performance. You can also get SMA to RP-SMA converters and pigtails if you have incompatible connectors, but beware that there is a performance penalty for every adapter you use (3db of signal loss for each adapter). Connectors can be soldered directly on the VTX, either in a straight, horizontal angle or 90 degree vertical angle. 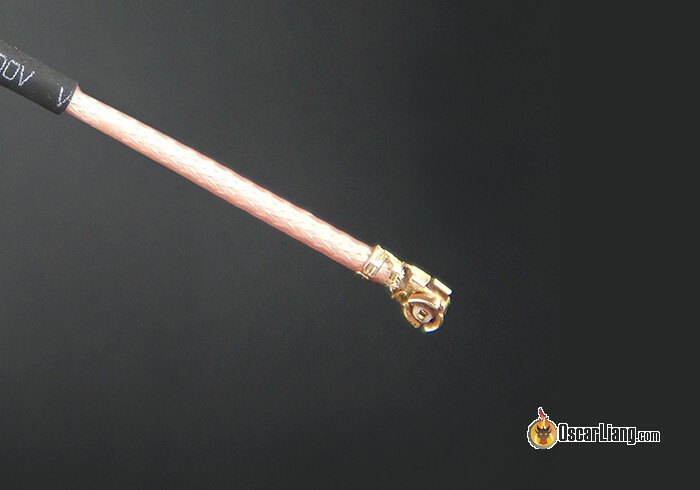 There are also pigtail extension you can choose from for your convenient. IPEX, or U.FL connectors are a popular choice for smaller VTX’s. It’s a tiny and lightweight connector comparing to the SMA, but they are also known to wear out much more quickly due to the limited mating circle. Often your can connect a U.FL to SMA pigtail to the VTX (just like a converter), or you could just use an antenna with U.FL connector. The latest trend in VTX connector appears to be the MMCX. It’s a good balance between the fragile U.FL and bulky SMA connectors. Some video transmitters have a wide range of input voltage and can be powered directly from LiPo battery, this means you don’t have to worry about voltage regulator in your build. But if you want to power your VTX straight from battery, you have to make sure the VTX has good power filtering otherwise you could get noise and lines in your videos when throttling up. That’s why it’s safer to power VTX with regulated 12V with additional LC filter or low ESR capacitors to minimize voltage spikes and electrical noise from your power system. Certain video transmitters are capable of providing 5V output to power other deivces, such as FPV camera, OSD, or even your flight controller. It helps with simpler wiring in some cases, but make sure you don’t draw more current than it’s rated for. VTX heats up easily, and drawing more current could make overheating worse. Some video transmitter might come with built-in microphone that allows audio. Read here about why some pilots prefer audio for FPV. If you’d like to listen to motor sounds during flights, but your FPV camera doesn’t have a mic, then this could be a handy feature. This is a new VTX feature which allows you to change VTX settings (such as channel and output power) in Betaflight OSD or from your Taranis screen using LUA script. Here is a guide how to setup VTX Control. SmartAudio is developed and used by TBS VTX, which uses the audio line to transmit data. “Telemetry” is developed and used by ImmersionRC Tramp VTX’s which is basically a bi-directional serial port. VTX control is available on all 3 major mini quad FC firmware. Pitmode is an important feature if you race and fly with other pilots. It allows the output power of your VTX to drop to an extremely low level (essentially zero) when your quad is powering on, or when it’s crashed, so you can change your VTX settings or walk to your quad and unplug without interrupting other pilots who might be still in the air. NTSC and PAL are the two main types of video format. Video transmitter doesn’t care about video format so you don’t need to worry about it. All modern VTX’s on the market support both automatically. For power and signal connections, there are two main choice between JST header, and solder pads. JST header is a more traditional solution and there is less soldering involved, but some people might prefer solder pads as it’s more flexible to work with and you won’t need to worry about breaking the connector. Sometimes it’s easy to forget when you are testing, because VTX and VRX can still work without antennas attached in very short range. That’s because the small SMA connector is acting like an antenna without the presence of a proper antenna. Any conductive material can be an antenna and emit radio waves. But it’s not tuned to the correct frequency and heat will still build up in your VTX, and thus the poor range. Same goes to crappy antennas, where you might notice hot VTX and poor range. These work but doesn’t work well. I explained the many things to consider when connecting your VTX and FPV camera and the rest of the FPV system. Some people try to resolve this by adding large low ESR capacitors to their ESC’s or PDB. Or more effectively against noise in voltage, a LC filter along with a voltage regulator is often used to power video transmitter and other FPV gear. I’m planning to buy an Aomway commander v1. But when selecting a transmitter and antenna if I buy a transmitter with duck antenna do I have to change the antenna of the Aomway that originally comes which is a circular polarised antenna to a duck antenna? Or can I use this combination directly without changing anything? You can use this setup as it is, with a bit of signal loss. Pairing linear polarized antenna and circular polarized antenna sees about 3dB of signal loss. It’s not that bad for casual flying. Actually SMA is a much much better connector than RP-SMA. The reason is that it has the pin on the antenna side. The pin is the weakest failure point under stress so having the pin on the antenna side which can be replaced cheaply instead of having the pin break on the very expensive VTX, transmitter or googles. I just would like to thank you for your excellent work. The spreadsheet is very very very usefull in order to choose VTX. It contains all info needed to decide. My question: if I connected two pagoda antennas to the same vtx via a splitter , so I got two antennas on the quad, would this damage or help increase the transmission ? I am not technical enough to answer that, but I guess the range might be reduced because you are splitting the output power through 2 antennas. Another reason analog is used vs digital. When an analog signal gets weak it gets interference and snow but the picture can still be seen and never freezes. When a digital signal gets too low there are too many packet errors and the screen just freezes or goes blank. I’d much rather have an SD signal that no matter how weak will still be broadcast and received than an HD digital one that just suddenly freezes. When an analog TV signal is weak you could still make out the picture through the snow, but in modern TV signals when it gets weak the picture just distorts and freezes. today I almost burned my quad. The insulation of the positive battery lead was cut by sharp edges on my carbon frame. The copper wire got in contact with the carbon and because the VTX was NOT insulated from the frame the result was a short circuit. My VTX comes with a pigtail. The SMA-adapter is mounted to the frame with a screw/washer. Do you have any idea how to insulate the SMA-adapter from the carbon frame? Thanks for the great article, regards, Michael. you could put some coating on the antenna mount (CF part), or drill the hole bigger and insert a 3D printed part in there? Hi Oscar, just started custom quad.. At the last bit you mention 600 mw if fly alone, why is that ? You mention avoiding contact with the VTX ground and the carbon chassis. Those VTX with an antenna extension often have threaded BNC connectors at the end of the extension. I typically use a nut to mount them on to the frame. Is this not recommended? An example of where the BNC is contacting the carbon frame. The TS5823 comes in 40CH for 12$, it’s the TS5823S. Can you fly a 40 channel tx with a 32 channel rx? Yes you can, as long as you only use one of the 32 channels that matches the VRX on your VTX.